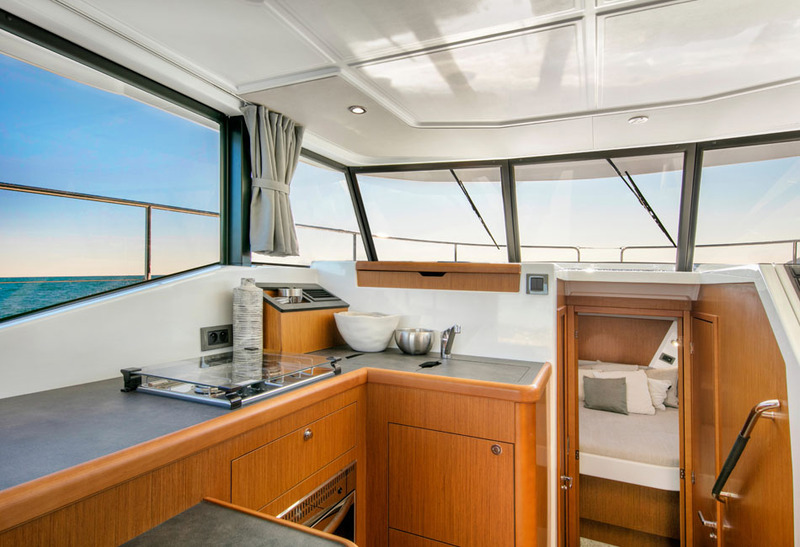 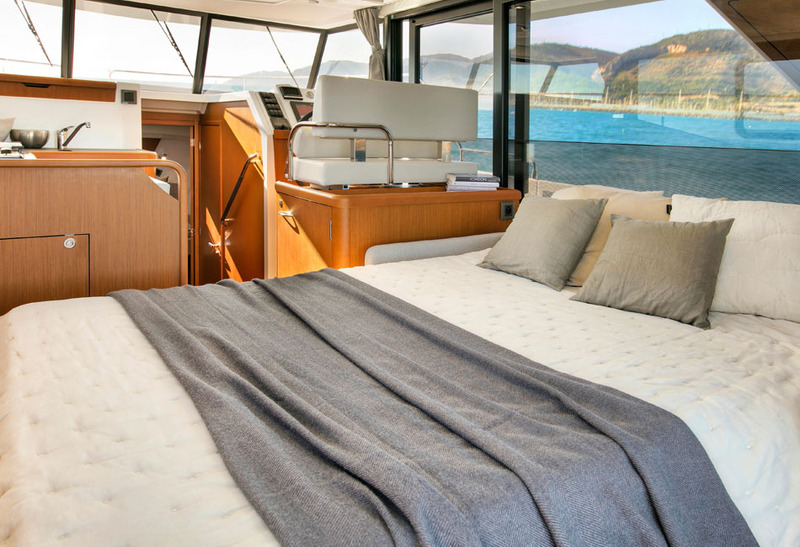 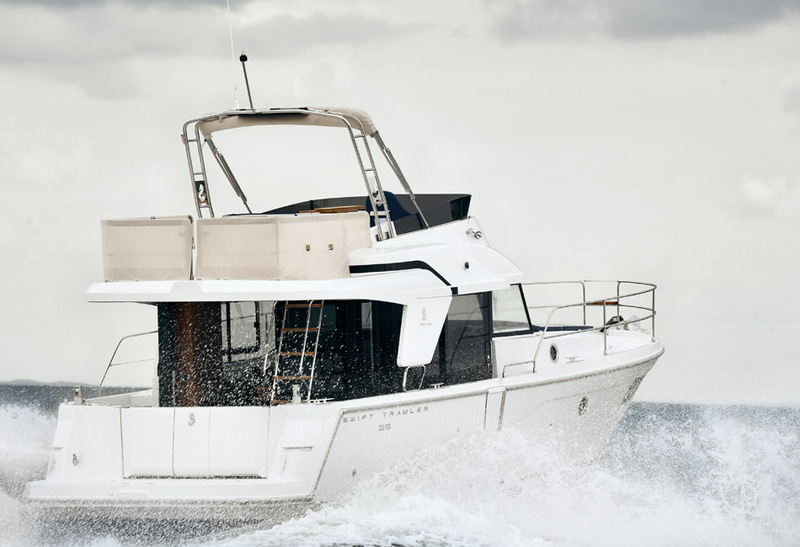 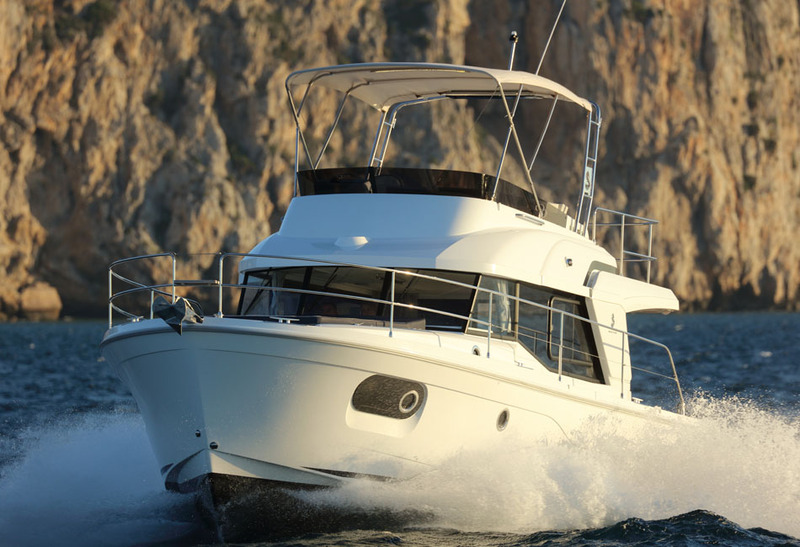 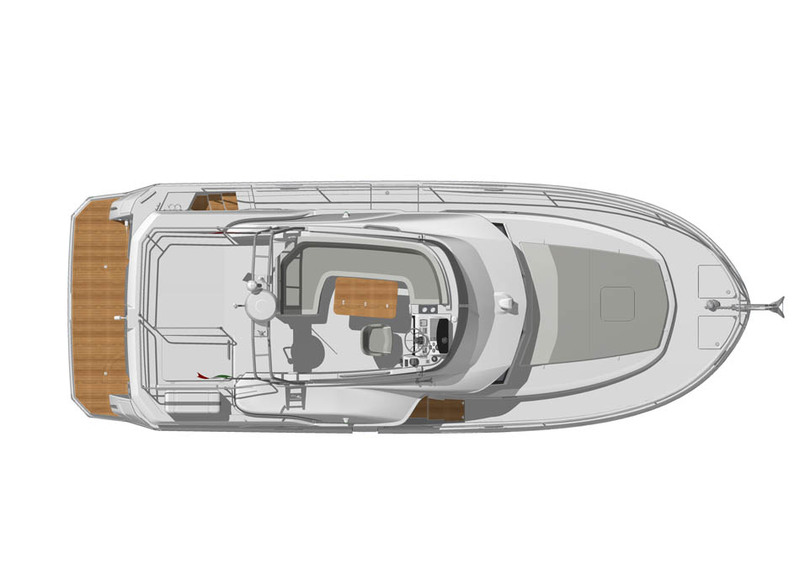 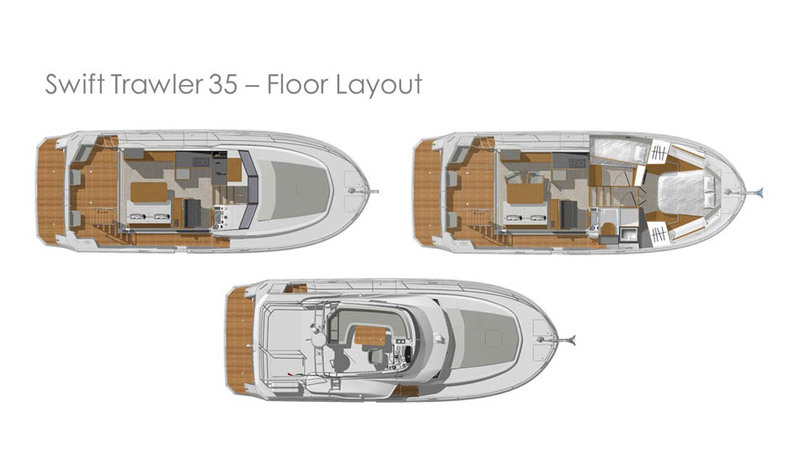 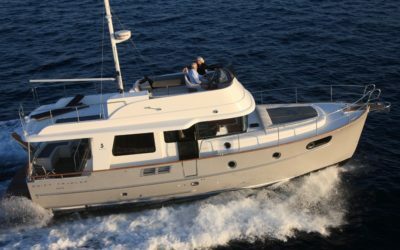 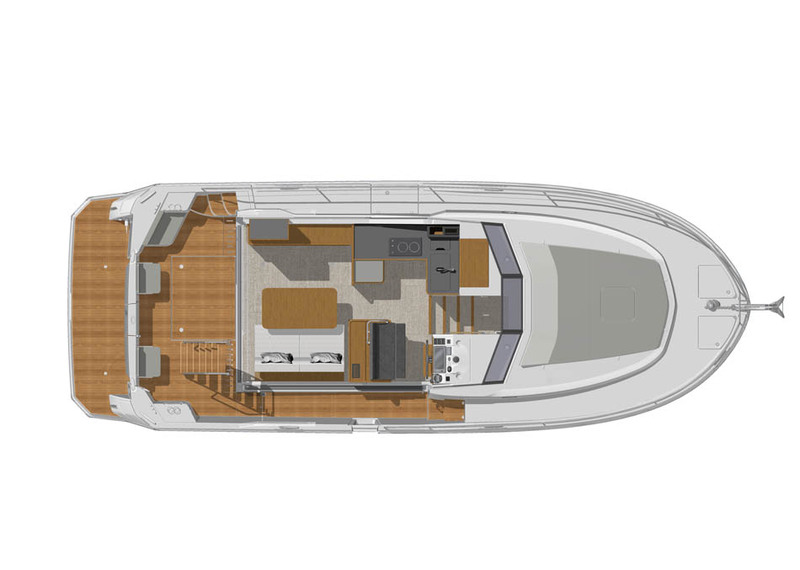 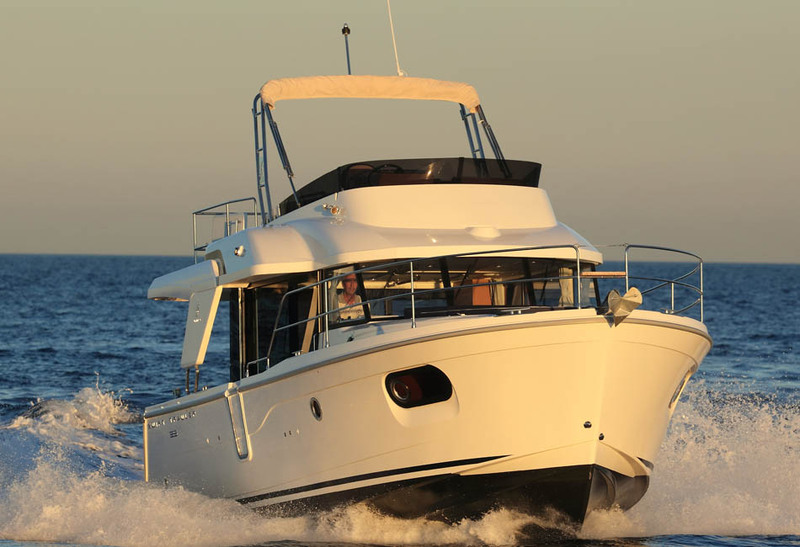 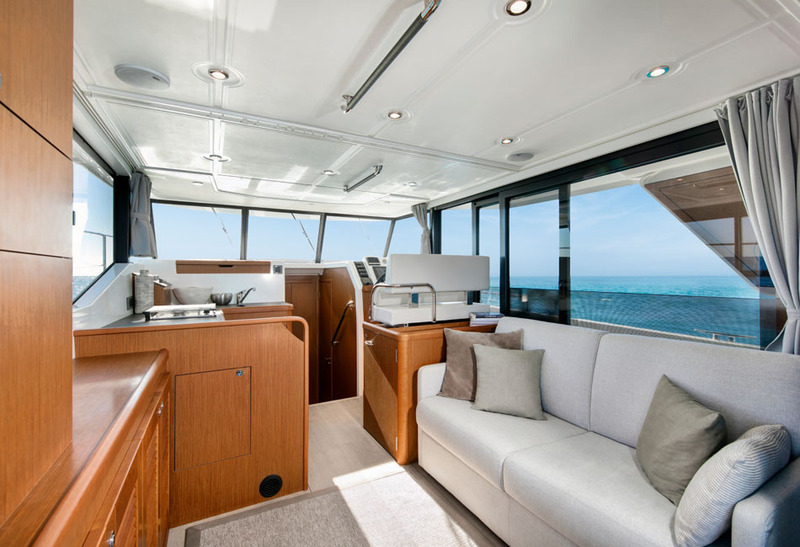 An innovative boat built for cruising on the high seas, the strong beautiful lines on the Swift Trawler 35’sprofile give a sense of reassuring safety. 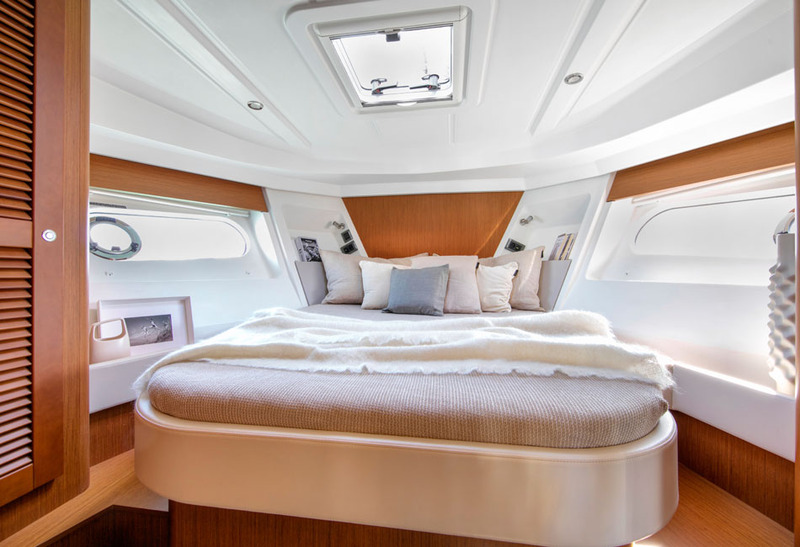 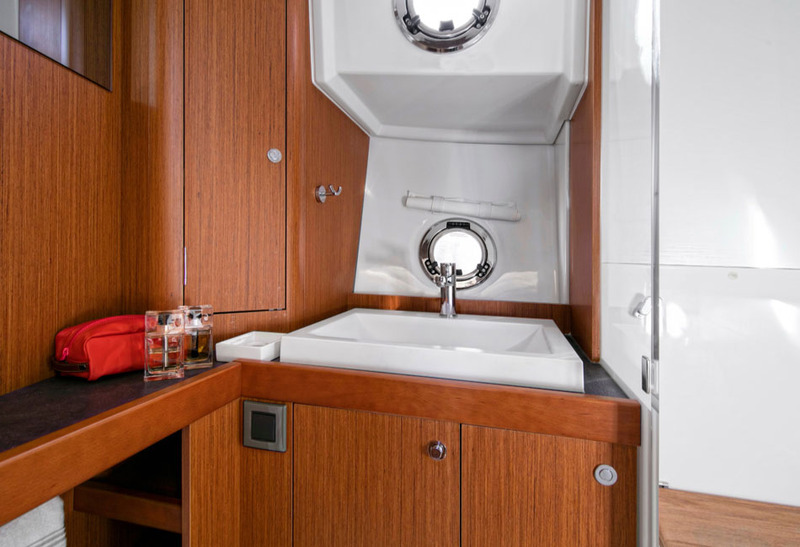 She is equipped with all the amenities needed for a safe, comfortable long cruise. 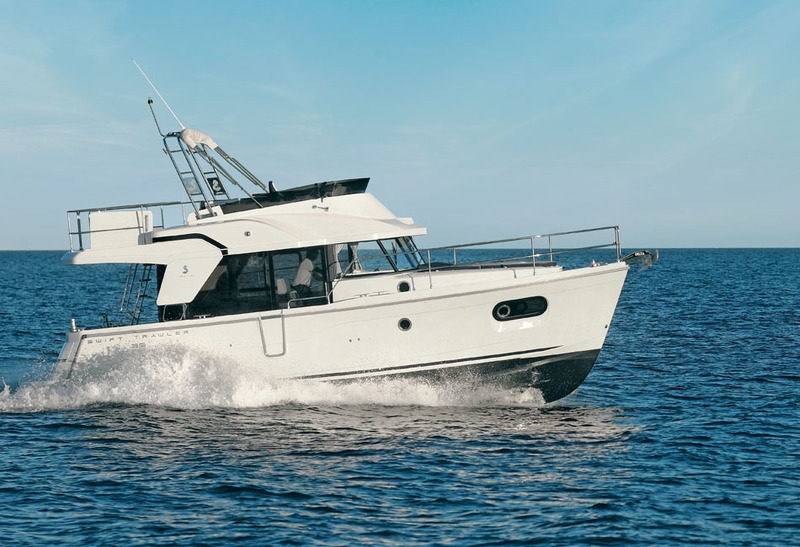 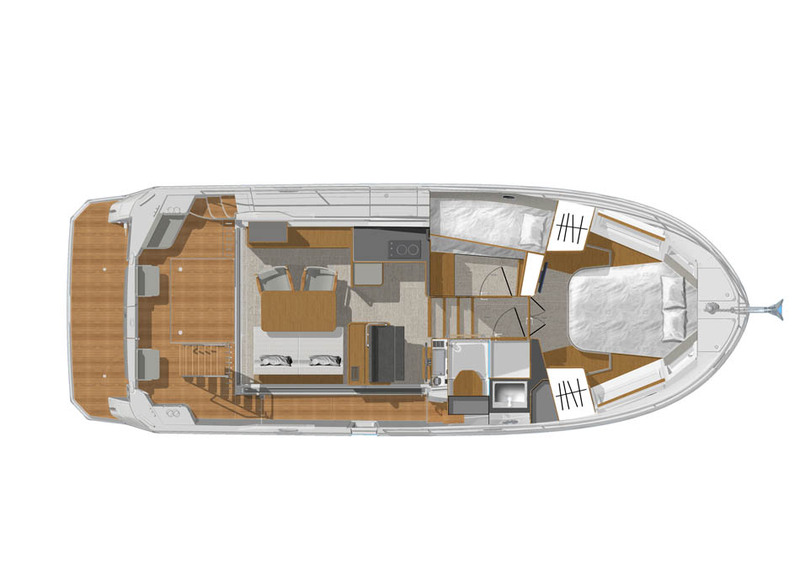 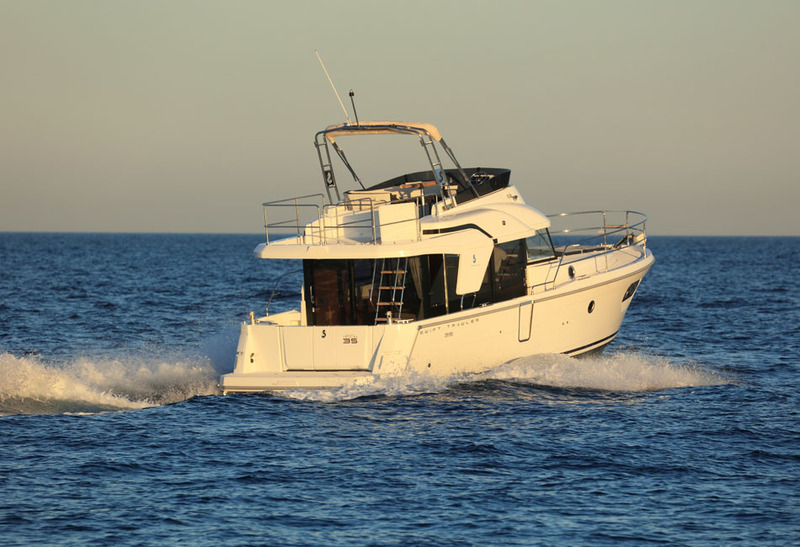 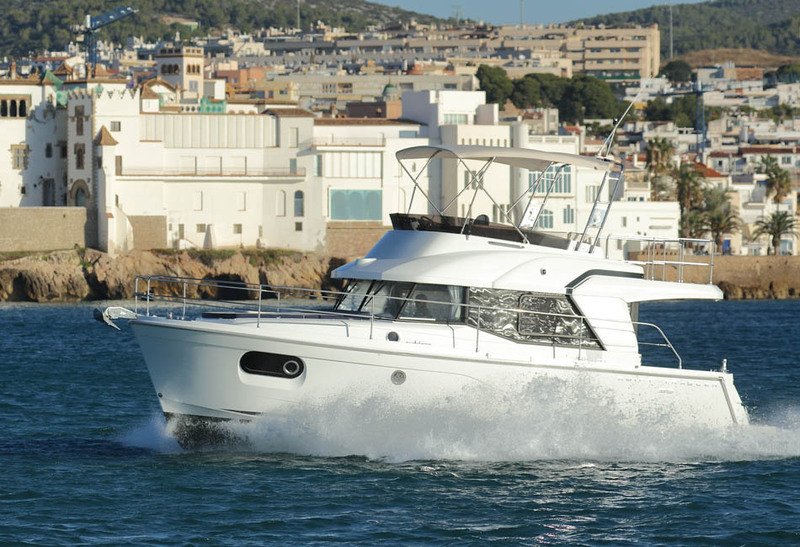 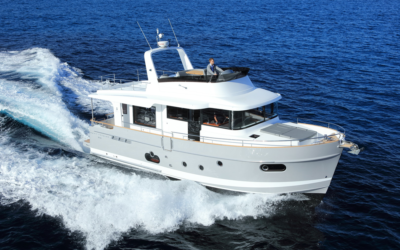 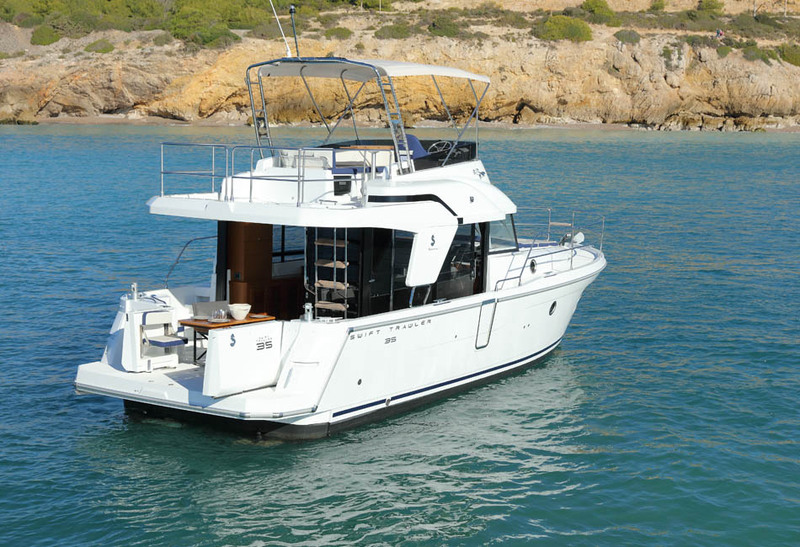 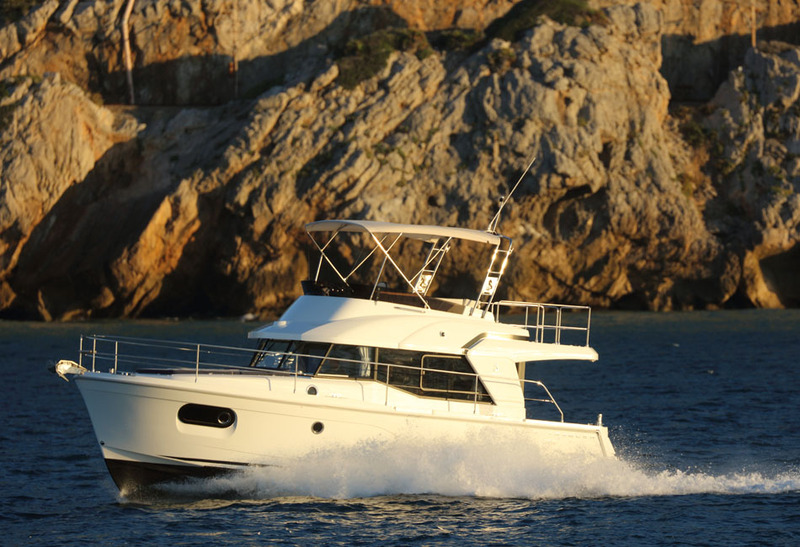 The Swift Trawler 35 is powered by a Cummins 425 hp engine which, combined with the semi-planing hull, offers a truly excellent manoeuvering. 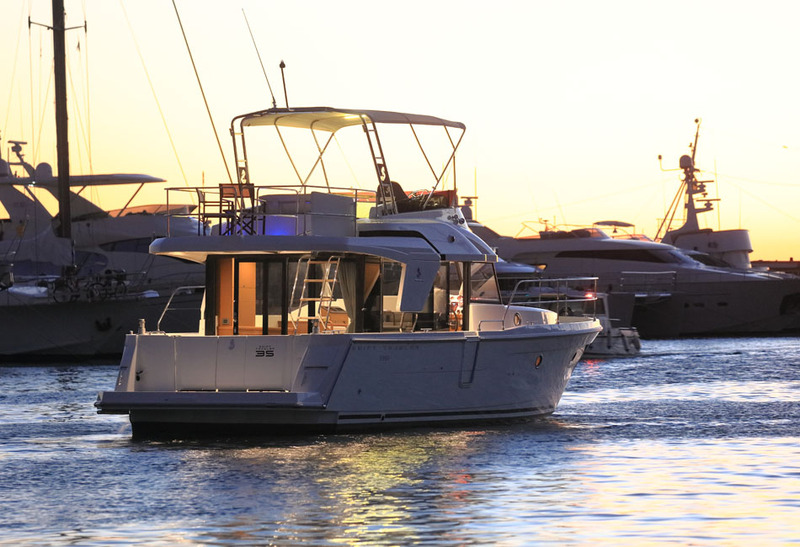 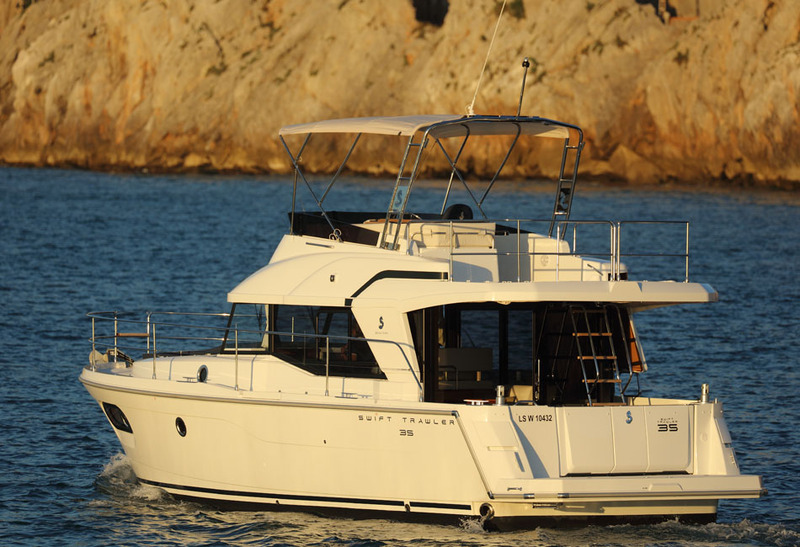 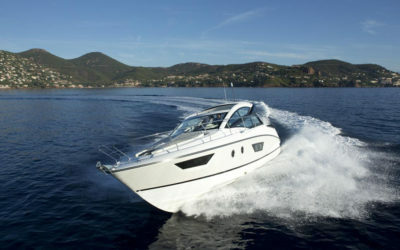 Owners can choose from a soft top or Bimini opening. 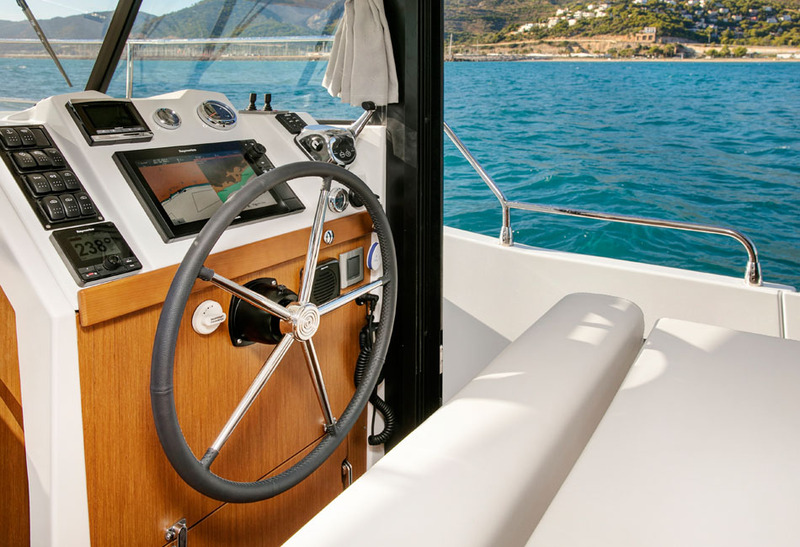 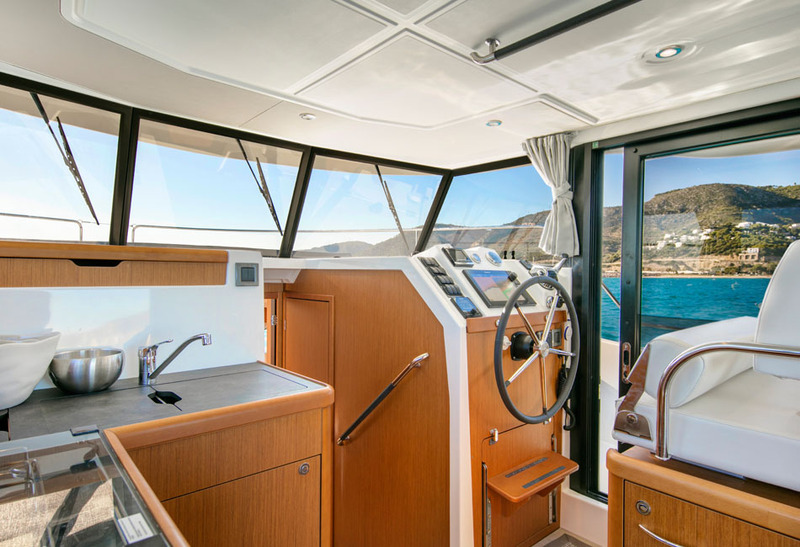 Enjoy a 360° view from the wheelhouse. 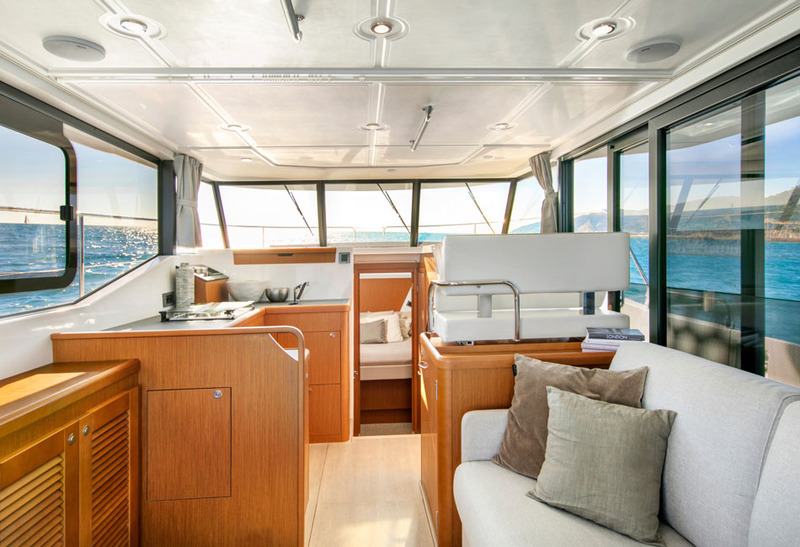 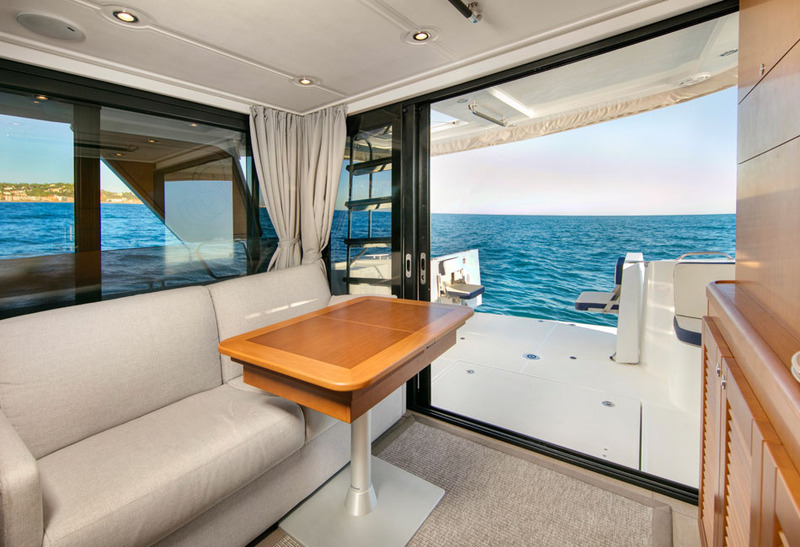 Inside, teak wood and easy to clean upholstery makes her ideal for entertaining. 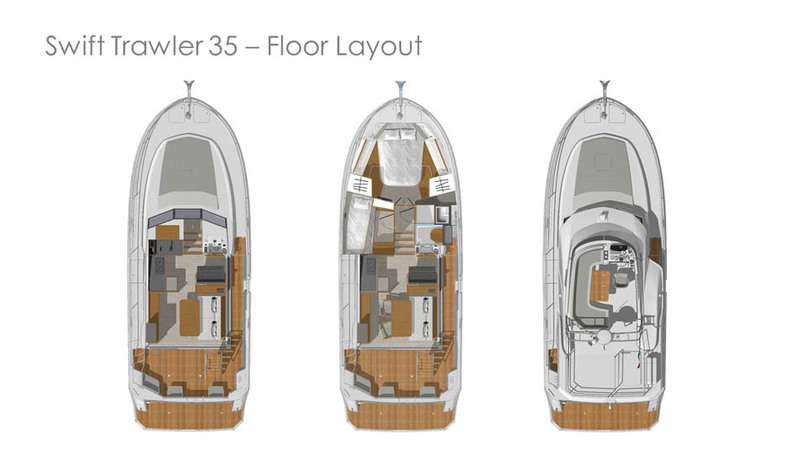 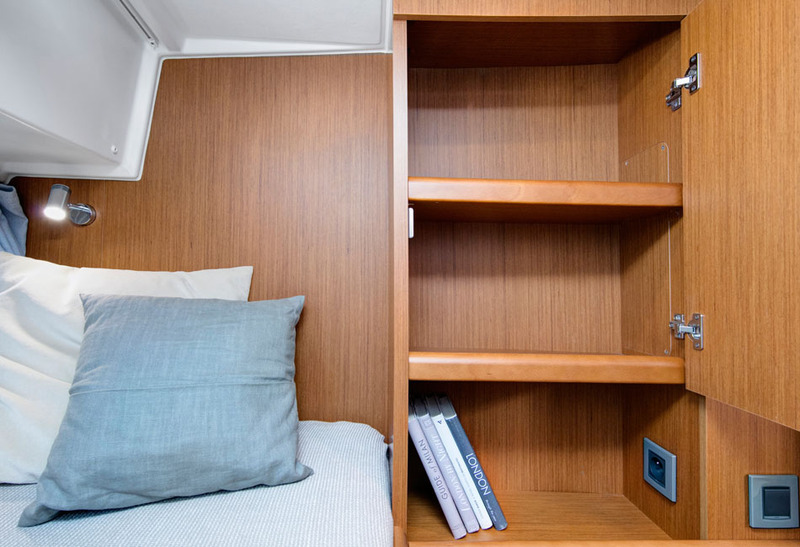 There’s an en-suite shower in the owner’s cabin and a second cabin with bunk berths.